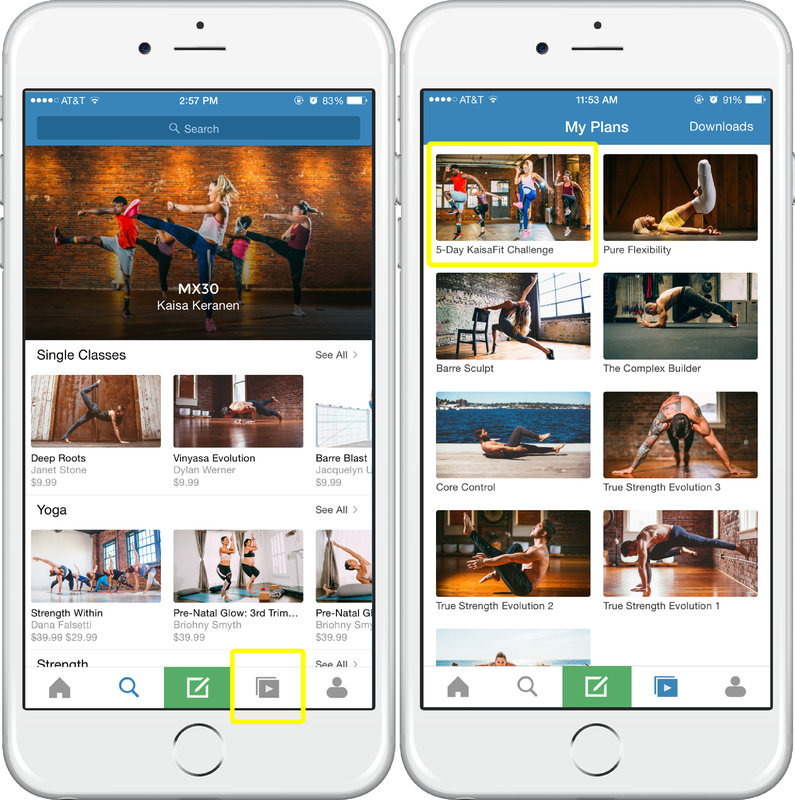 You can use our free iOS app to download full plans and individual videos onto your mobile devices for offline access. To get our free app, head to Apple's App Store and search for "Cody" - download away! 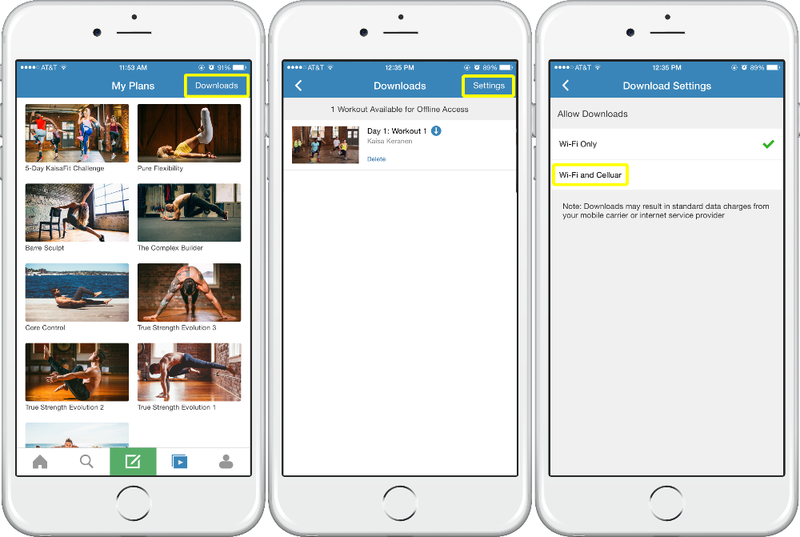 Keep in mind that you will need internet access to download your purchases onto your mobile app, but no internet connection will be needed after your downloads are successful. 1. 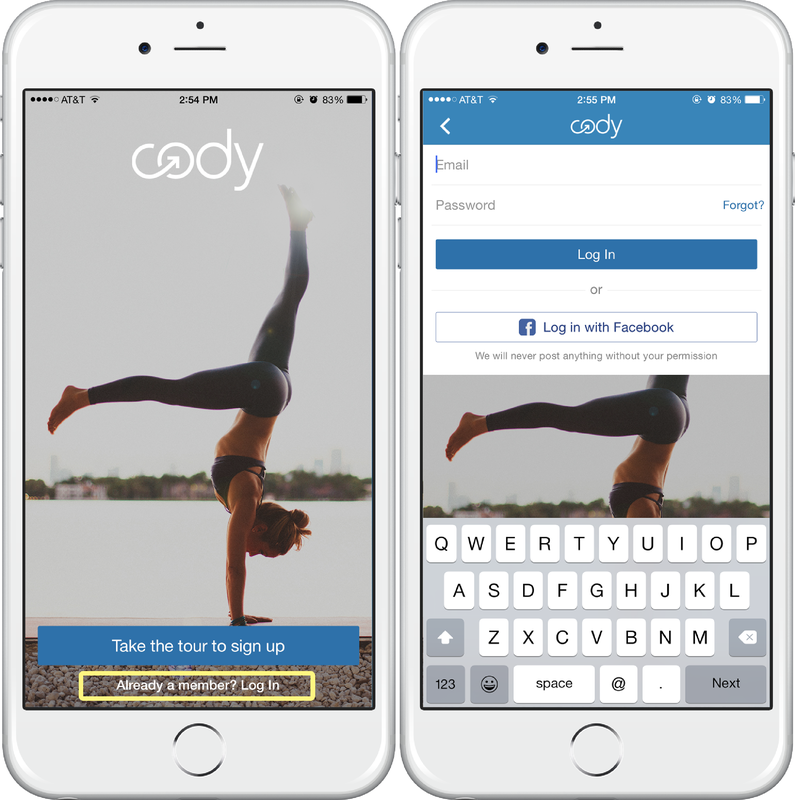 Open your iOS app and log into your Cody account. If this is the first time you are opening the app, the screen will prompt you to enter your account information. Go ahead and log in with the same account information you use on codyapp.com. 2. After you have logged in, click the "My Plans" button that looks like a triangular "play" button, and is located directly to the right of the green center icon. 6. By default, your saved plans will download to your iOS app only when you are on Wi-Fi. If you would like to change this setting to also use cellular data to download your plans, head back to your "My Plans" screen; check out step 2 if you may have forgotten how to do this! 7. 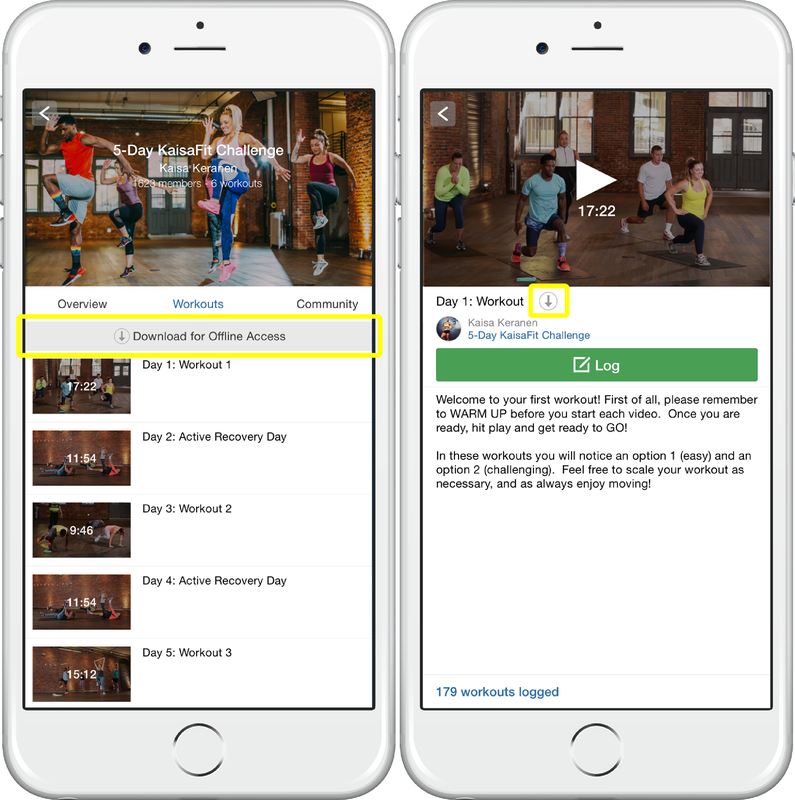 Once you are on the "My Plans" page, tap "Downloads" in the top right corner: this will redirect you to a screen that shows all of your downloaded plans and videos. 8. Next, tap "Settings", located in the top right corner of the "Downloads" page. 9. On the "Download Settings" screen, you will see two options on how to allow downloads: Wi-Fi Only, and Wi-fi and Cellular. The default selection will be Wifi-Only. Tap "Wi-Fi and Cellular" to allow your phone to download your plans and videos using cellular data.